Topic: Vehicle passes do what? Re: Vehicle passes do what? The green man returns! Run! I tried in chrome and got your results but IE got me in the waiting room early, try that if you havent already. it let me in the waiting room early, weiiiiiiird! Topic: Presale Tickets - How Difficult? Re: Presale Tickets - How Difficult? Totally agree with you trilobyte! I hope that the BMorg changes this in years to come so it is no longer an outlet to potentially have people abuse. No reason for people to be buying several presales and main sale tickets as well. Radical Self-reliance! They have to be over $400 since they were $390 last year, so $420 is the logical amount but someone already guessed that so I'll go with $415, since 415 is code word for a disturbance, which the increase will no doubt cause. Take my money and let's burn already! 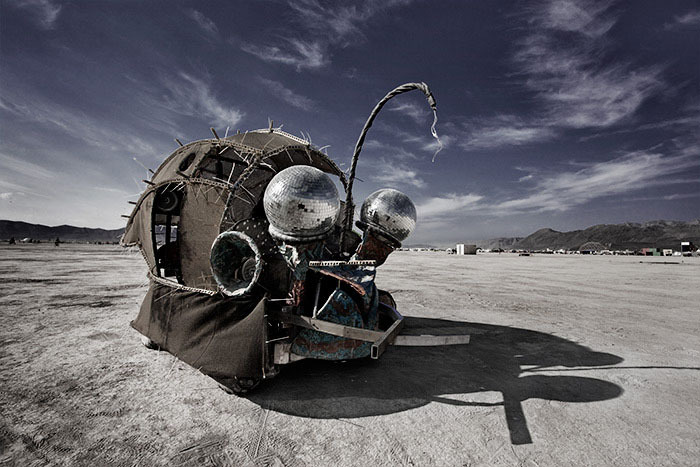 Topic: Puts you right back on the Playa >> Burning Man :: Release! John Davy intential mooper at 5:52! otherwise great video! Also if you are taking fruit like oranges or bananas, bring a mesh bag and throw the peels in it and hang it in camp. Within a day they will be dried out and not smell up your trash or camp. Topic: WHATS IN? WHATS OUT? Re: WHATS IN? WHATS OUT? Excellent! Happy VP buying to all! We aren't going to be much help here unfortunately so I'd email ticketing support.